For over 30 years, Royal East has served Malaysian and Chinese cuisine to our Cambridge community. Royal East is known in the Cambridge community for its incredible Malaysian and Chinese cuisine. 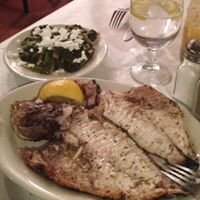 We have a real passion for our authentic dishes, and everything we prepare is made with traditional flavors, fresh ingredients (including the freshest seafood you’ll find), and beautifully presented to you, our guests. While our meals are bold and artistically plated, our space is cozy and casual, and we hope you’ll always feel right at home here with us. Nothing makes us happier than sharing all the flavors we love with the community we love even more.